I am sorry to have to report that there will not be a graveside tribute to Sqn Ldr David Maltby and his crew this year. 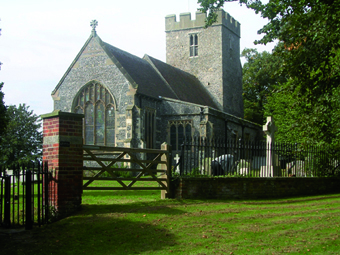 David Maltby is buried in St Andrew’s church in Wickhambreaux, Kent (pictured above). His body was the only one recovered after their aircraft crashed into the North Sea on 15 September 1943, after an operation to bomb the Dortmund Ems canal was called off. For many years the tribute was organised by the East Kent branch of the RAF Aircrew Association, with the support of local members of the Maltby family. 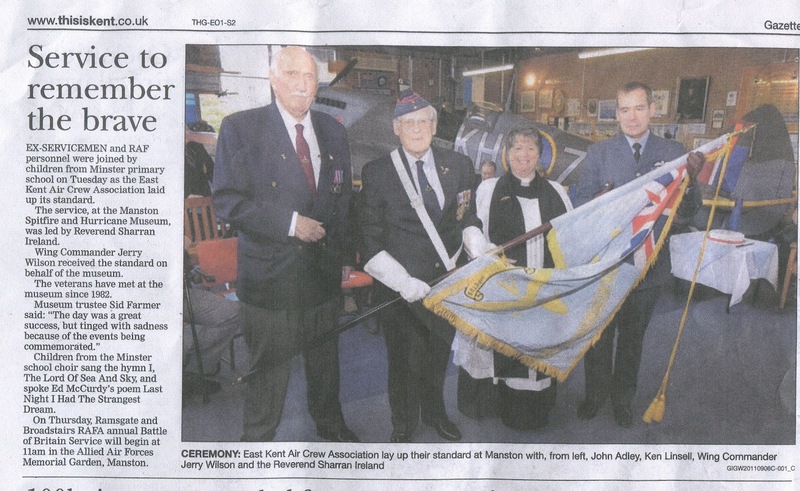 However, this branch has now been disbanded, with their standard being laid up at the Spitfire and Hurricane Museum in Manston (see newspaper cutting below). The Maltby family is very grateful to them for leading the tribute over the last many years, and sends every best wish to the individual members. Regular readers of this blog will recall that last year’s tribute by the RAF’s last flying Lancaster to David Maltby and his crew had to be called off because of adverse weather conditions. We very much hope that the Lancaster will fly over Wickhambreaux in September 2013, the 70th anniversary of their final flight.